It is my pleasure to share with you Uganda’s latest education policy initiatives and experience in this Commonwealth Education Partnership Publication. Uganda National Development Plan (2010) clearly states the technological and social challenges that the country faces, which include inadequate quantity and quality of human resources. The Government of Uganda therefore recognises Education, Training, and Skills Development as one of the most critical investment areas for human development. Despite competing national pressures and demands, the Education and Sports Sector in Uganda is allocated a reasonable share of the National Budget. Through prioritisation, the sector has been able to introduce and successfully implement major policy reforms. Most important among these are: Universal Primary Education (UPE) launched in 1997, the Universal Post Primary Education and Training (UPPET) launched in 2007, and the Universal Post O Level Education and Training (UPOLET) launched in 2012. These reforms have resulted into improved equitable access to education opportunities at all levels. At the primary education level, UPE has expanded access from over 2.5 million pupils in 1997 to over 8 million pupils to-date. At secondary education level, introduction of UPPET has expanded access by 17.2%. Enrolments in the Technical, Vocational Education and Training (TVET) sub-sector have increased by 14%. At Higher Education level, enrolments have also increased significantly. As the country addresses the issues of access and equity through the above reforms, one of the major challenges the country still faces is inadequate skilled manpower. 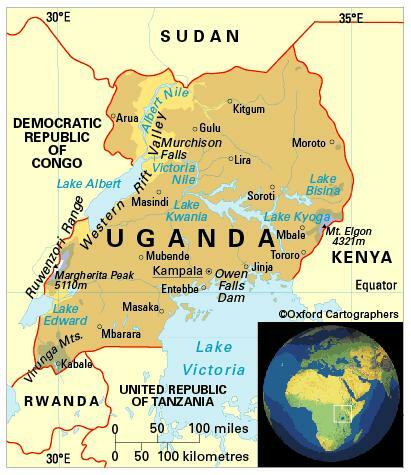 In 2011, a Strategic Plan for Business Technical Vocational Education and Training (BTVET) entitled ‘Skilling Uganda’ was approved by Government of Uganda and a new BTVET system is expected to emerge from the implementation of the Plan. The Plan promotes a change in the current education certificate system into a comprehensive competence-based system of skills development focused on employability, enhanced productivity and economic growth. Implementation of the strategic plan is expected to enhance the creation of employable skills and competencies relevant in the labour market. At all levels of the education system, quality remains a daunting challenge but all efforts are being made to ensure improvement. Well targeted programmes geared towards enhancing the quality of education and training especially the Quality Enhancement Initiative (QEI) in the primary sub-sector have yielded significant results. Interventions include: supply of qualified teachers; instructional materials; science equipment and apparatus; and classrooms and teachers houses in hard to reach areas. In addition, a number of complimentary programmes and strategies have been adopted to consolidate the gains from UPE, and these have been mainly in the area of Special Needs Education and Non-Formal Education. At secondary school level, efforts are being made to improve the standards of teaching and learning of science and mathematics through the retraining of science and mathematics teachers, provision of science kits, targeted recruitment of science teachers, construction of laboratories, and provision of science textbooks. In line with the Millennium Development Goal of promoting gender equality and empowerment of women, the Government of Uganda has since 1986 through a number of key policy documents, declared its commitment to redressing the disparities that characterise the provision of education for girls. It has, both of its own volition and through collaboration with donors and non-government organisations, set up several gender-responsive programs to expand and improve the education of girls. These efforts have been intensified by Uganda’s belief that the girl-child is entitled to equal access to education as a human right and that the educated girl-child is a linchpin in the development of the nation. Gender disparities in primary school enrolment have been wiped out because UPE has ensured a steady increase in the number of girls enrolling at school each year. The EFA goals have been systematically dealt with and have contributed to the successes named above. However, notwithstanding the achievements, Uganda is still grappling with achieving quality of education. The initiatives made to address this concern include improving teacher quality, provision of physical infrastructure, curriculum review, provision of instructional materials, improving the morale of teachers, strengthening school administration, supervision and overall management as well as strengthening parental and community input into the functioning of schools. The quest for improving quality still remains a challenge and all efforts are being made to address this in future policies and programmes. Public spending on education was 3.3 per cent of GDP in 2012. The Ministry of Education and Sports is the body responsible for education policy, development and provision in Uganda. The Business, Technical, Vocational Education and Training (BTVET) Department under the ministry is responsible for coordinating training providers to administer courses that create qualified persons equipped to respond to the business needs of the country. The Department of Teacher Education is responsible for all teacher development programmes, and for ensuring the provision of well-trained teachers and tutors for all levels of education. There are seven years of primary education starting at the age of six, followed by six years of secondary, with cycles of four and two years. The government phased in free primary schooling from 1997 and free secondary from 2007. Some 25 per cent of pupils complete primary school (2010). The school year starts in February. Makerere University (1922) and Mbarara University of Science and Technology (1989) are the longest-established public universities. Kyambogo University (2003), Gulu University (2004) and Busitema University (2007) were founded in the 2000s. The principal private universities include Busoga University (1999); Islamic University in Uganda (1988); Kampala International University (2001); Uganda Christian University (1997); and Uganda Martyrs University (1993). The female-male ratio for gross enrolment in tertiary education is 0.8:1 (2011). Literacy among people aged 15-24 is 87 per cent (2010).